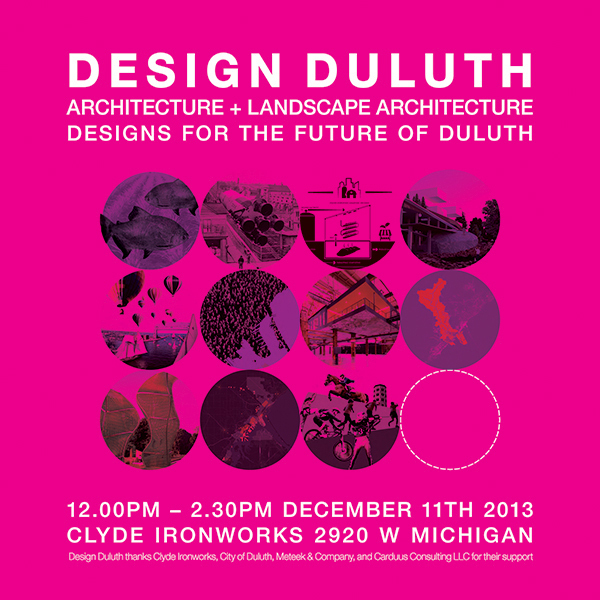 Everyone’s invited to the second annual presentation of Design Duluth graduate studio projects at Clyde Iron Works on Wednesday December 11, Noon – 2:30 pm. 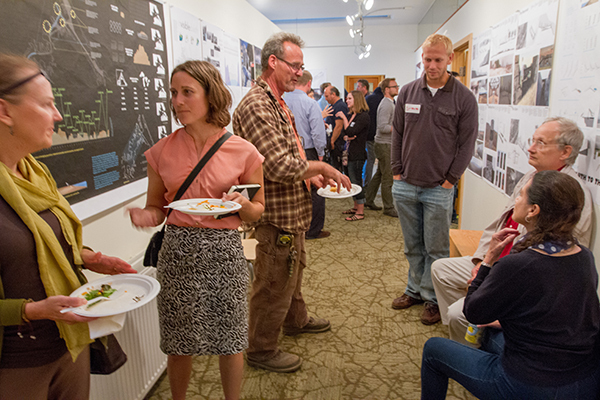 This year thirty-three graduate Landscape Architecture and Architecture students worked with City officials, NGOs and other stakeholders to inform their ideas about resilient futures in Duluth. 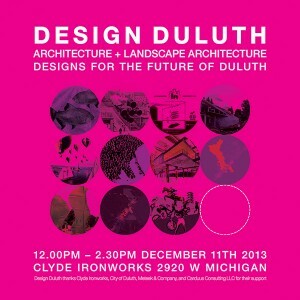 They toured Duluth as a class in September, hearing presentations and touring sites for three days. In October, they returned to get input on their ideas from various stakeholders, then worked in groups to come up with final design ideas for the semester. 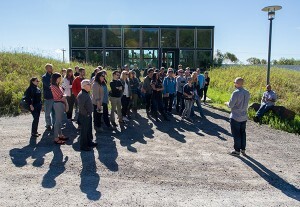 Photos below show the class tour in September. TOP: This year’s students meet community members at Meteek & Co. Projects from last year’s Design Duluth hang on Meteek’s gallery walls. MIDDLE: Touring the Hawks Boots facility, designed by Salmela Architecht and headquarters of Loll Designs and Epicurean. 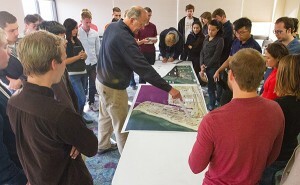 BELOW: Bob Bruce gives students a run-down on waterfront development in Duluth.